When anybody ever hears of Oranges they automatically think of Vitamin-C. Partially because they are loaded with it. But there is more to these little fruits than meets the eye or that you’ve probably heard about. Oranges are without a doubt the most popular fruit out there and are well-liked by pretty much everybody but also these fruits are ripe year around too. They are excellent source of vitamin C and flavonoids. One orange (130 grams) supplies nearly 100 percent of the recommended daily dietary intake of vitamin C.
As you can see too it’s got high fiber which can prevent heart disease, certain causes of cancer, as well as stomach problems. Not only that but an orange is jam-packed over 170 different phytonutrients and more than 60 flavonoids, many of which aid anti-inflammatory, anti-tumour and also help prevent blood clotting. Also they are loaded with anti-oxidant. Because of the delicate combination of the high amount of anti-oxidant (vitamin C) and flavonoids in oranges, it makes these one of the best fruits in helping to promote optimal health. When I think of ways to utilize oranges obviously fresh squeezed orange juice is a great way to get a lot of the health benefits that these offer but I like taking it one step further. 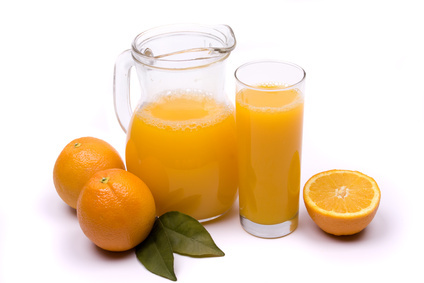 By putting either oranges or orange juice in whey protein powder you can really boost even more health benefits. Did you know that whey protein is the number one protein on the planet? And did you know it contains Glutathione which is the number one anti-oxidant on the planet that are bodies are actually devoid of? So you can imagine how incredible you’re going to feel when you have loaded Vitamin-C as well as compounded anti-oxidant components working hand and hand in say a delicious orange whey smoothie. That’s enough to battle any health problem that might come your way to say the least. Go here to check out some incredible extra health benefits of taking whey protein powder. Make sure you leave some comment love to and if you have any questions please feel free to post them below or link to us.